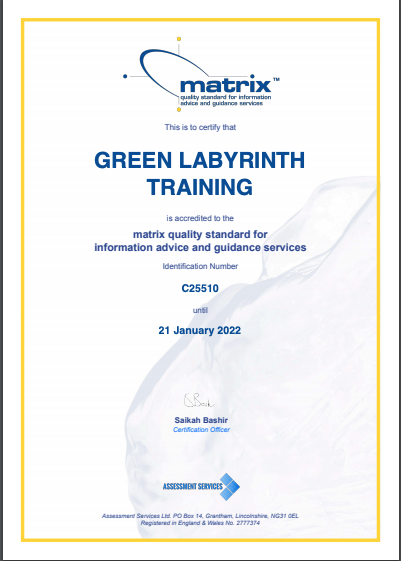 Green Labyrinth Training are proud to announce that we have now been awarded Matrix accreditation. The team at Green Labyrinth are constantly working hard to improve our standards of customer service and delivery. This is a recognition of many months hard work and preparation by the entire team. 55% of Apprenticeship learners progressed on to either other learning or achieved pay or career advancement on completion of their programme.